Bill Snape, a law professor at American University, explains why President Trump naming Brett Kavanaugh as his pick for Supreme Court will be harmful to the environment. 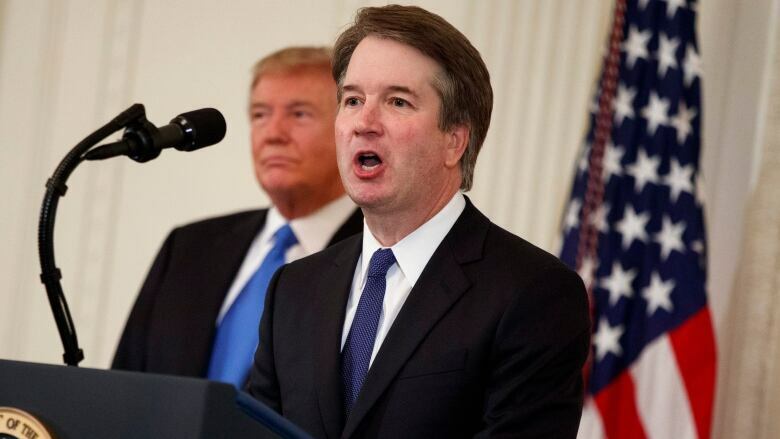 As U.S. President Donald Trump named Brett Kavanaugh as his Supreme Court nominee on Monday, he described the judge as "one of the finest and sharpest legal minds of our time." But not everyone was happy with the decision. In fact, environmental law professor at American University Bill Snape likens Kavanaugh to the Harry Potter villain Lord Voldemort. Snape, who shares the name of Potions Professor Severus Snape in the famous wizard books, wasn't just trying to make a Harry Potter joke. He tells As It Happens guest host Rosemary Barton why he believes Kavanaugh, if confirmed, could pose a real threat to the environment. Are there actual real reasons why you think [Brett Kavanaugh] is the Dark Lord in terms of a pick? Yes, certainly from an environmental and energy law perspective. I figured, as my name really is Professor Snape, it was appropriate to accurately needle him on one of his huge Achilles' heels heading into the hearing process before the United States Senate. Through the years he's been an appellate judge before the D.C. Circuit, arguably the second most powerful court in our country. He has demonstrated a pretty consistent bias for big industry, big corporations, polluters and a hostility and hesitancy towards public interest plaintiffs, plaintiffs that use cutting edge science or climate change. And as it relates to the future of our planet, while I was being tongue in cheek and having a good time, it was not meant to be a compliment. There are other people that give a couple of examples where he ruled in favour of environmental things and sided with the EPA (Environmental Protection Agency). Namely to an example in 2013, where he upheld an EPA decision to retroactively veto a mining project in West Virginia. There was another one in 2014. Do you think that he's really anti-environment? I'm aware of those two cases that you mention. I'm not aware of many more beyond them. It's tempting to say that even a broken clock is correct two times a day. But on the two cases that you mention ... those are pretty straightforward cases in my view. When you look at his overall 12 years of decision-making, time and time again he has ruled against the public interest. Those two cases are certainly nice but they are far outweighed by the dozens, if not hundreds of cases that stand on the other side of the ledger, unfortunately. We were hoping that it would be someone else. He really was the one of the final four that was giving us the most heartburn and now that has become realized. 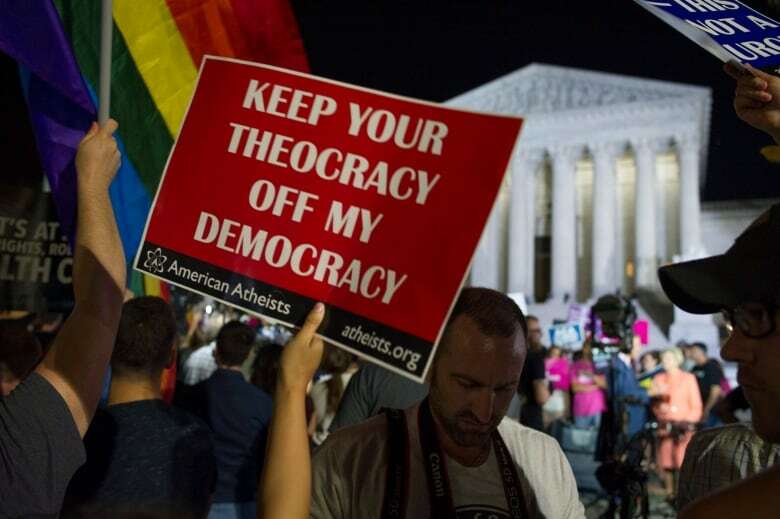 When we think about Supreme Court nominees in your country, the contentious issues tend to be things like abortion, the death penalty, those kinds of hot button issues. Do you think that he is riskier for the environment than he is for those social issues that drive so much of the decisions around who should be a Supreme Court nominee? I certainly think there will be a lot of questions to him about women's rights, about workers rights, about fair housing, about the issues you just reeled off. But I think that on all these issues ... he does seemingly already have his mind made up. I do predict for those who have never seen a United States confirmation hearing that he will be very adept at not answering questions. There'll be a lot of Kabuki theatre. Do you think that this is ultimately about the Trump administration wanting to roll back many of the environmental regulations that were put in place by Obama? I do think that particularly this second nomination by President Trump is a lot about President Trump. 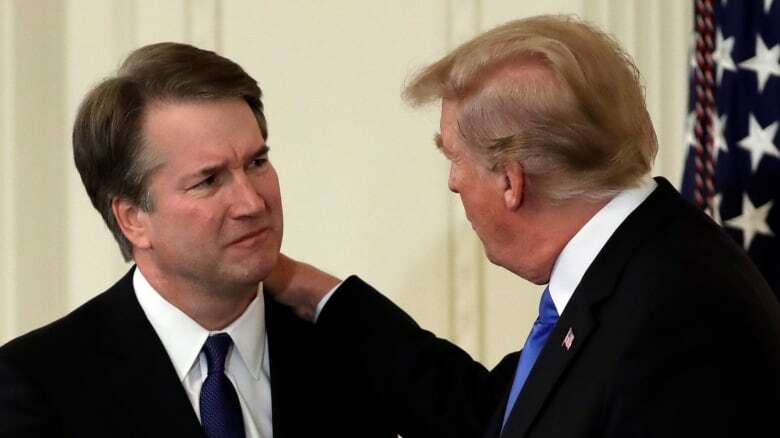 This one, with elections coming up in a few months, huge dissatisfaction with the administration, I think there is a meta-political question.... Why is he ramming through a far-right judicial nominee to replace one of the most centrist justices we've ever had, particularly at this point in time with this president? Do you think he believes in climate science and climate change? I have no idea whether he believes in climate science. He's obviously a very intelligent man. I would imagine that he understands the argument for climate science and why climate science ought to be taken seriously. How he would translate that into law on the Supreme Court can only be informed by the fact that he ruled against every single Obama climate initiative there was. So to me, that's not a good starting point. This Q&A has been edited for length and clarity. Written by Samantha Lui. Produced by Jeanne Armstrong.